Ad Hoc BnB v Řím, Itálie: Zarezervujte nyní! The guesthouse is at the first floor of an historic building, with elevator, overlooking the main street and the courtyard. 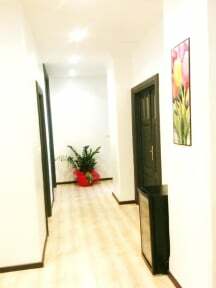 It consists of welcome area, common area, four rooms equipped with every comfort and two shared bathrooms. The flat has a modern furniture, elegant, stylish and practical. 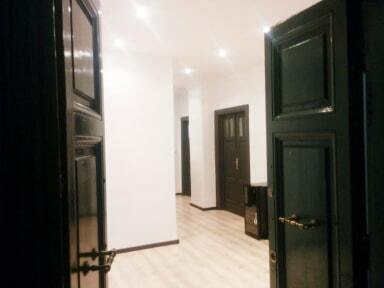 The property is located at a short walk from the railway station Termini, with its metro and bus stations, and the church of Santa Maria Maggiore. Due to its privileged position, it is extremely convenient to reach the B & B and move to visit the city. We are at only ten minutes walking from the historic center and its monuments (Coliseum, Roman Forum, Palatine Hill...) . The area is also a paradise for gourmets, thanks to the many local, often very popular (Panella, Vecchia Roma, Fassi, Regoli), from Italian cuisine to ethnic, from pastries to ice cream, there's something for everyone tastes. The B&B consists of reception area, common area and four rooms: one single room, one double room, one triple room, one quadruple room. All rooms are well equipped with all the basics comforts. There are two shared bathrooms. Once the check-in online it's done you will be provided with the codes to be used to enter inside the apartment. It is possible to enter the apartment from 10:00, not before because other guests could still be sleeping. Between 10:00 and 14:00 you can enter the apartment, but not in your room because it is not ready. Please let the luggage at the entrance and come back after 14:00. You can just quickly use the bathroom if you need. After 14:00 the room is ready and the apartment is clean: you can enter whenever you prefer.